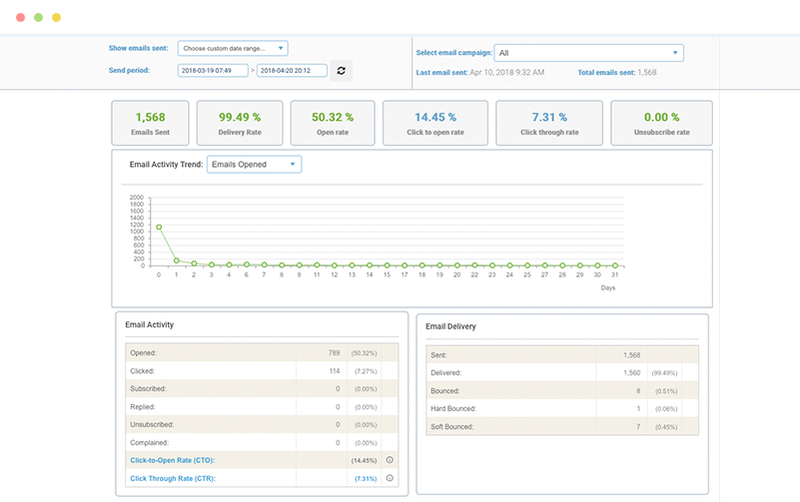 Customers looking for email automation features with advanced reporting and analytics. Customers looking for the most basic way to design and build email templates. 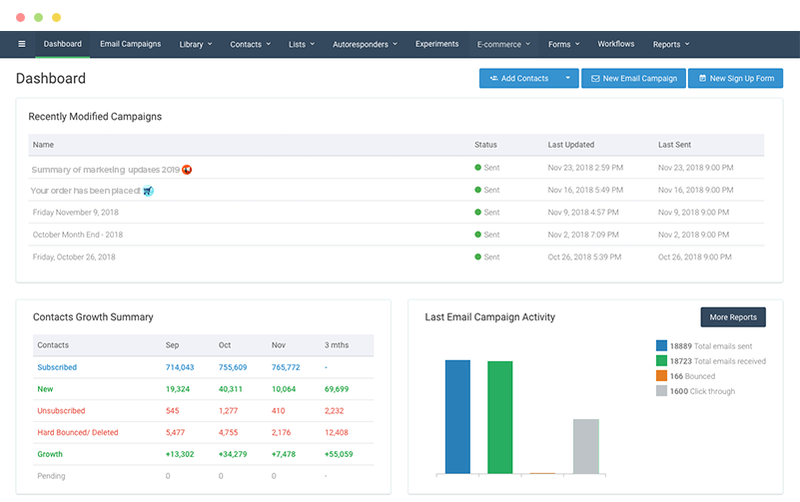 Campaigner is an email marketing tool with a focus on advanced automation features to help you engage with the right customers at the right time. They offer a range of features which aim to help you better understand your audience. This includes data driven automation, which will optimize the best times and dates to send your audience emails. It also includes advanced audience segmentation and dynamic email content. Another core feature of this service is advanced reporting and analytics. 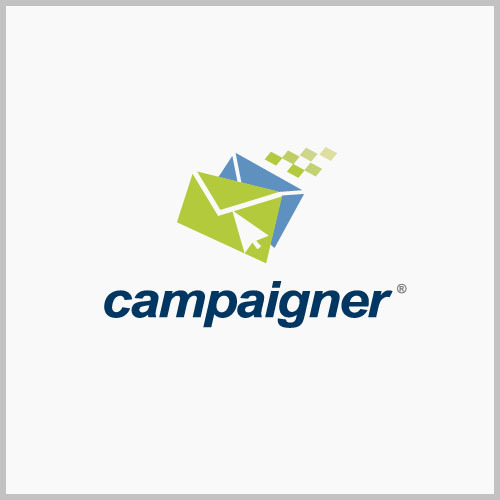 Campaigner is a good option for mid-sized to larger businesses with a team of people who will be working on email marketing. It offers great features which will help automate the marketing process. You can set up workflows, which email people personalised email based on certain triggers, like downloading a document or signing up for updates. These personalisation options are easily set up, with customer segments easily identified and categorised using this service. The email template designer is not as fully featured and easy as some competitors but will still allow you to create engaging email designs. There are also good features for teams, such as role based access to changing templates, which sets this platform apart. Reporting is another core strength of this platform. There are range of metrics and reports available, which make it easy to see how successful your campaigns are and improve them to better engage your audience. Campaigner is a good option for customers looking for advanced email automation features, and high quality, detailed reporting.